The new See by Chloe fragrance reveals an addictive floral scent. Like a sweet smile, the first sparkling notes of Bergamot stir the senses. Tangy essences. Elusive, the see by Chloe girl flies off. In an accord of Apple Blossom, the grace of Jasmine caresses this natural seductress. An olfactory game of hide and seek uncovers sensual notes of Sandalwood and Vanilla. This fragrance transfigures the mythic flower, infusing it with a resolutely urban spirit. a rose combined with Magnolias and generous Peonies. a Rose both honey-like and powdery, whose petals blossom on the skin. Cheeky, free and sophisticated, it breaks every boundary and vibrates with a woody tone. a signature rose that has become a legend. Explore the entire range of Perfumes (EDT & EDP) available on Nykaa. 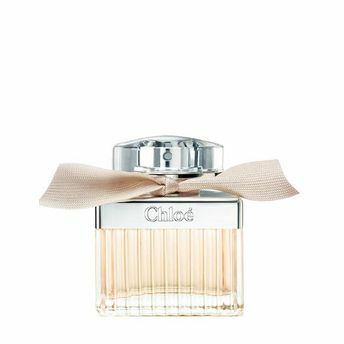 Shop more Chloé products here.You can browse through the complete world of Chloé Perfumes (EDT & EDP) .Alternatively, you can also find many more products from the Chloe Signature Eau De Parfum range.